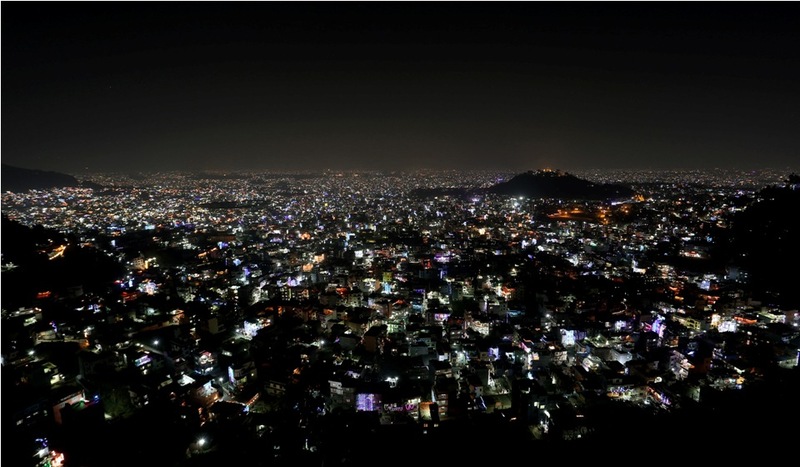 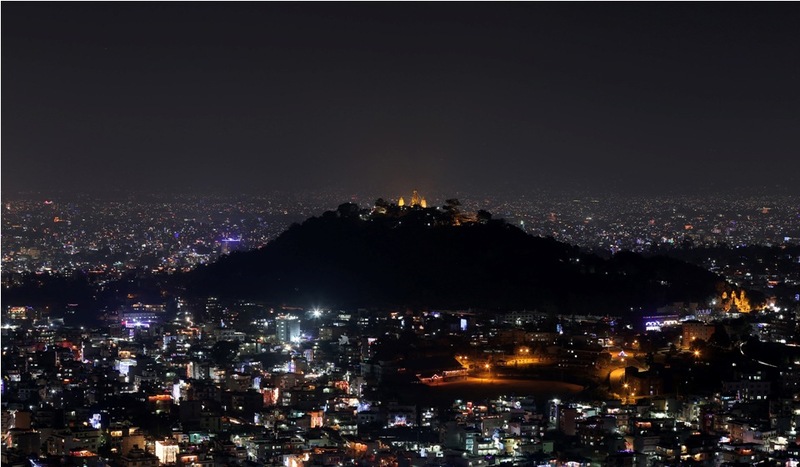 A view of Kathmandu valley in the evening of Laxmi puja from Halchowk danda on Wednesday. 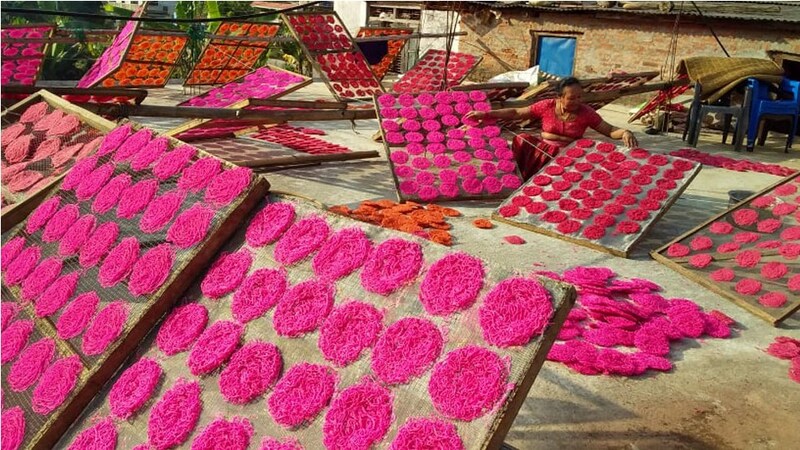 A girl prepares ‘Rangooli’ for Laxmipuja at Anamnagar, Kathmandu on Wednesday. 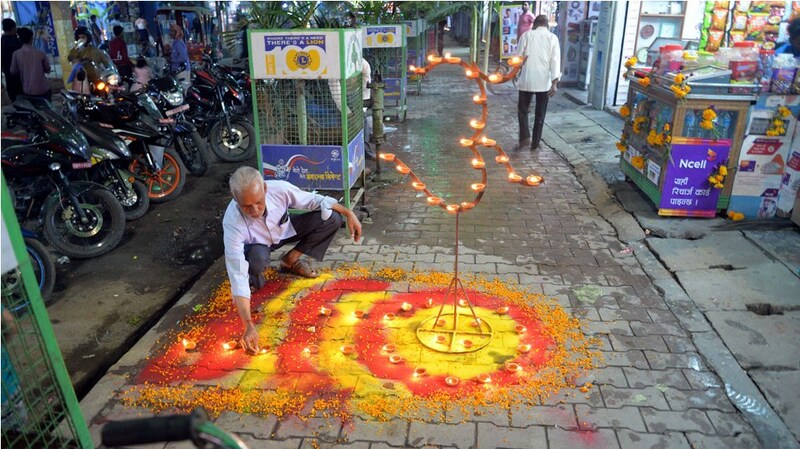 Local light lamps ‘diyo’ in the evening of Laxmi puja at Adarshanagar of Birgunj on Wednesday. 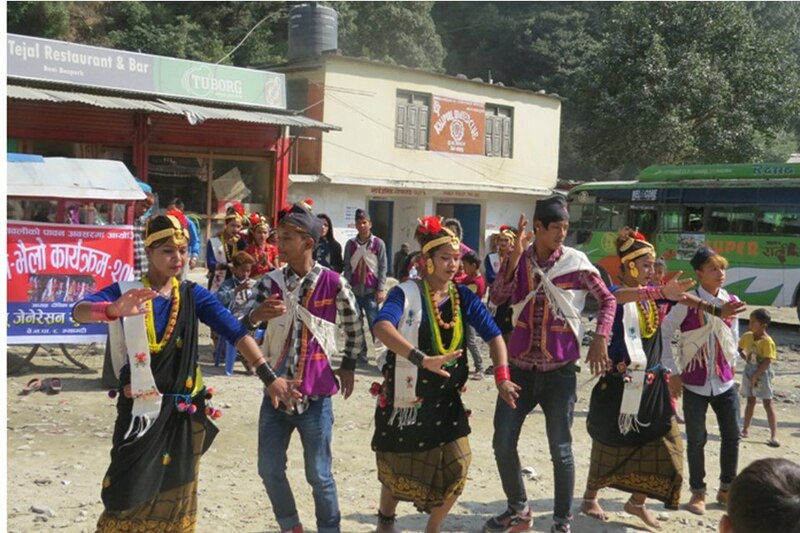 Artists dance on the occasion of Tihar while playing Deusi-Bhailo at Beni, Headquarter of Myagdi on Thursday. 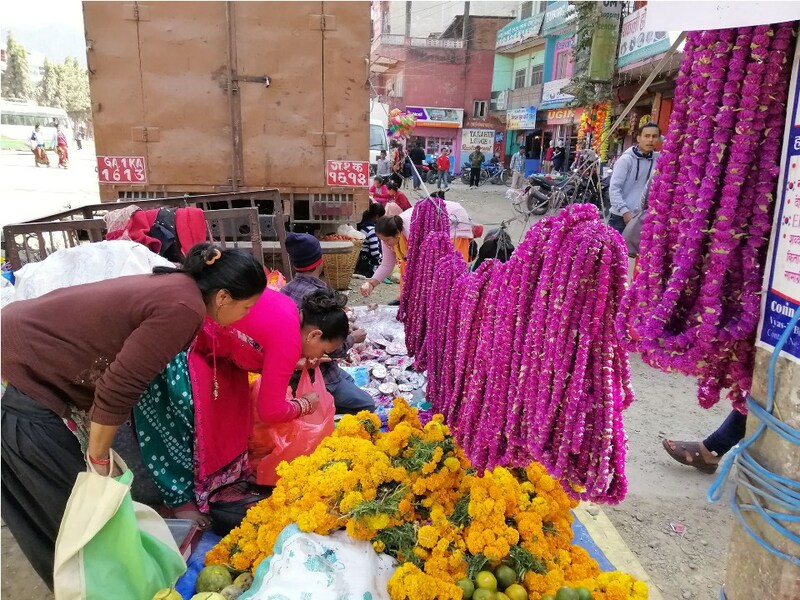 Vendors are seen busy selling flowers and garlands at Damauli, Tanahun. 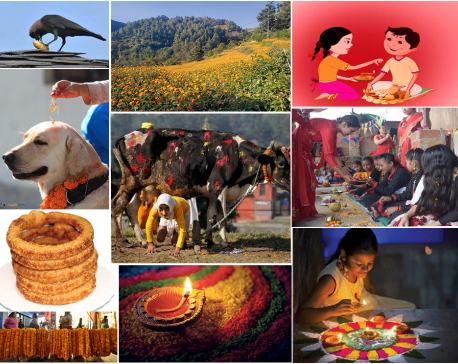 The sale of garlands and flowers have increased with the beginning of Tihar festival. 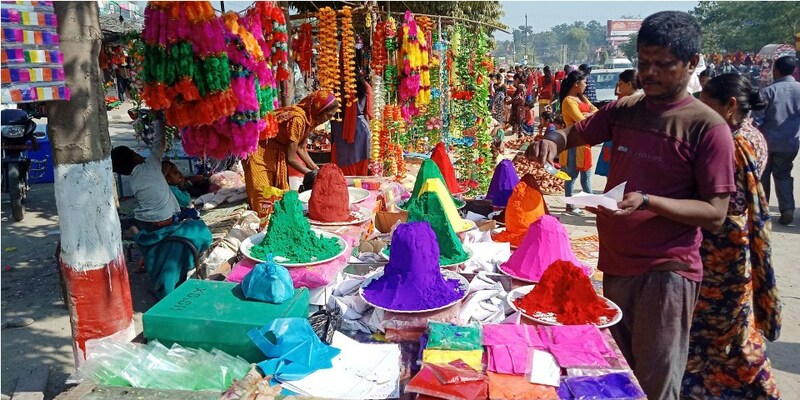 A shopkeeper sells ‘tika’ colors at local bazaar of Atariya, Kailali. 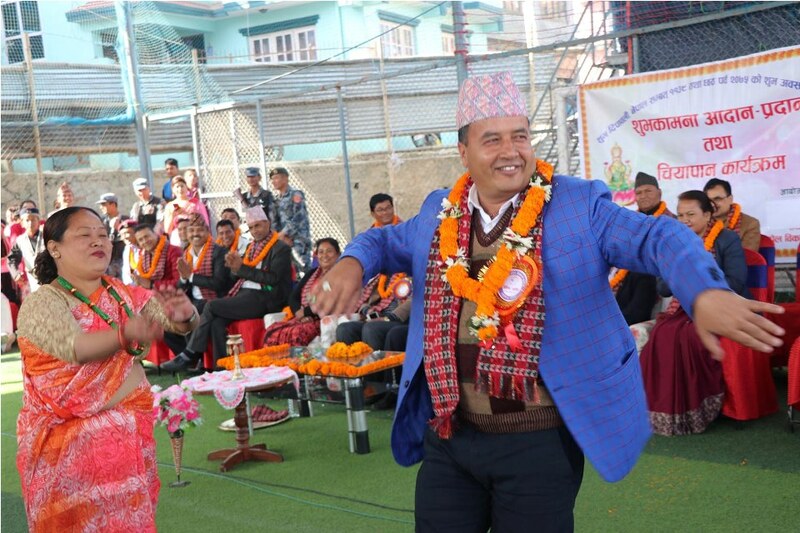 ​ Former Minister and leader of Communist Party of Nepal Mohan Basnet shows some dance moves in the tea reception program organized on the occasion of Deepawali, Nepal Sambat and Chhat by Suryanagar Tole Development Society on Thursday. 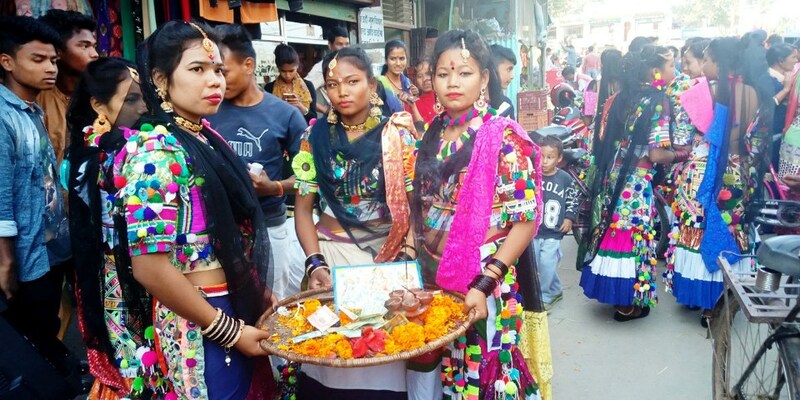 Girls from Rana Tharu community playing Deusi-Bhailo at Jhalari bazaar, Kanchanpur. 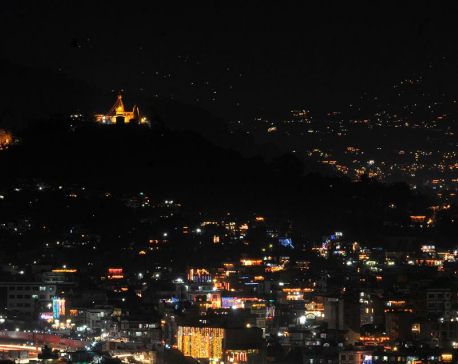 Maiya Shrestha basking the ‘jhiniya’ at Rangbhang of Rampur municipality-5,Palpa. 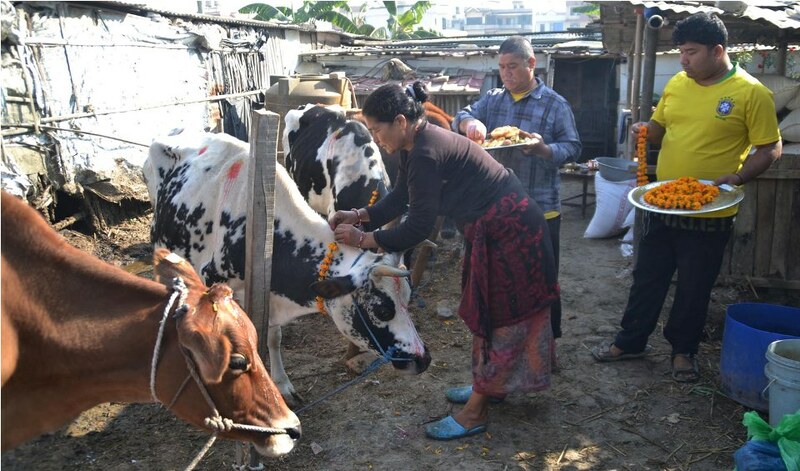 Devotees worship cow on the third day of ‘Yamapanchak’. 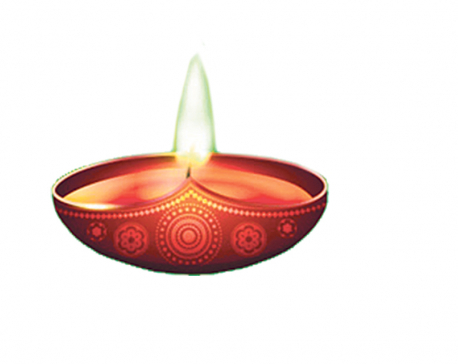 The third day of Tihar is also known as ‘gai-tihar’. 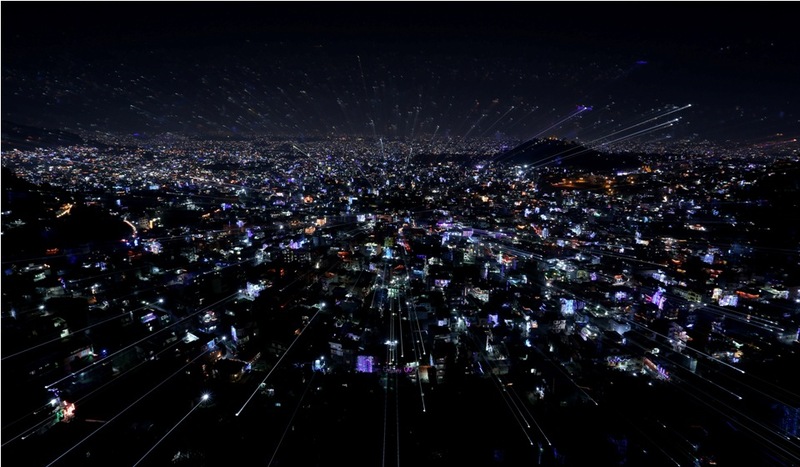 Youngesters celebrate the 1199th Nepal Sambat, the New Year Of Newar Community in Bhintuna rally on Thursday.